In this seminar, Dr Franco La Torre will present his book on his father Pio, ex-leader of the Italian Communist Party and MP, killed by the mafia in 1982. The Department of Politics, Languages & International Studies at the University of Bath in collaboration with the Italian Institute of Culture, London, are pleased to welcome Dr Franco La Torre. He will present his book Pio La Torre: Ecco Chi Sei about his father Pio, ex-leader of the Italian Communist Party and MP of the Italian Republic, killed by the mafia in 1982. Franco La Torre will be accompanied by Marco Delogu, Director of The Italian Institute of Culture in London. 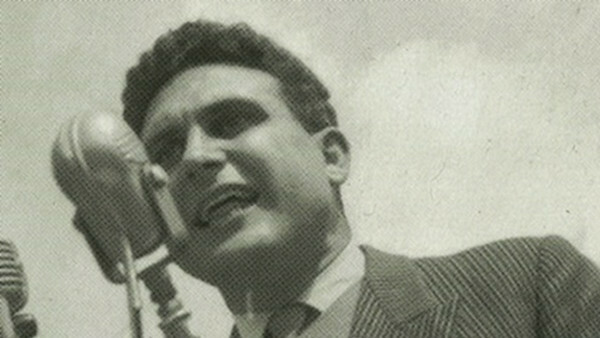 Pio La Torre, ex-leader of the Italian Communist Party and MP of the Italian Republic, was killed by the mafia in 1982 after he initiated a ‘mafia conspiracy' law in the Italian legal system. This book, co-written by his sons, Filippo and Franco La Torre, with a Foreword by Giuseppe Tornatore, sheds light on a man who fought for social justice. Dr Franco La Torre (Università La Sapienza, Rome, and University of East Anglia) has 30 years of in-depth experience in the field of development, urban planning, the environment, partnership building, resource mobilisation and decentralised cooperation, working in culturally and politically diverse contexts, mainly in Europe, the Mediterranean basin, the Middle East and Africa. He has been a member of the National Observatory on Constructions and Legality, the Bail Committee of SOS Impresa, an association against racket and blackmail, President of Freedom, Legality and Rights in Europe Network (FLARE), and member of the National Secretariat and Presidency of the anti-mafia organisation Libera.